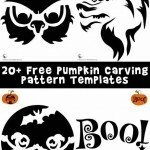 These Disney pumpkin stencils have been the #1 all time most popular page on Woo! Jr. Kids Activities since first posted in 2009, and with good reason! Who doesn’t love Disney?! New for 2016, we’ve added another 6 drawings for your Halloween pumpkin carving pleasure: Pixar characters! 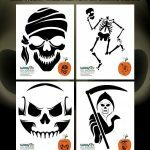 Scroll below to find and print these awesome new stencils. We can’t think of a better way for Disney lovers to celebrate Halloween than by carving a pumpkin with Disney characters! 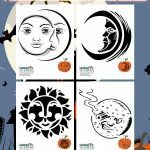 Here are seven original -drawn by me- Disney pumpkin patterns from Woo! Jr., including Disney princesses and our favorite Disney villains. I am especially happy that I drew up a Maleficent pumpkin template now that the Maleficent movie has come out! Did you see it? It was the best movie the kids and I saw that summer. That isn’t actually saying much, since that summer was filled with horrible movies *cough Transformers 4 cough*. 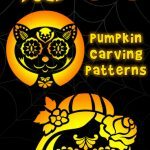 Make these pumpkins last by carving artificial pumpkins! 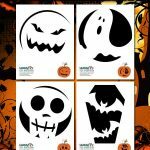 More Disney Pumpkin Carving Patterns Straight from Disney!